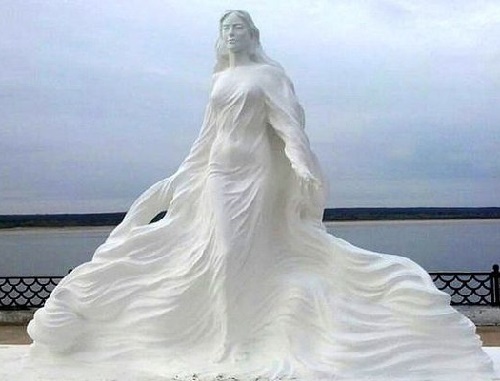 “Beauty Lena” – the name of this three-meter monument, set on the banks of the beautiful river in Yakutia. The Lena is the 11th longest river in the world and the 3rd largest river in Asia. 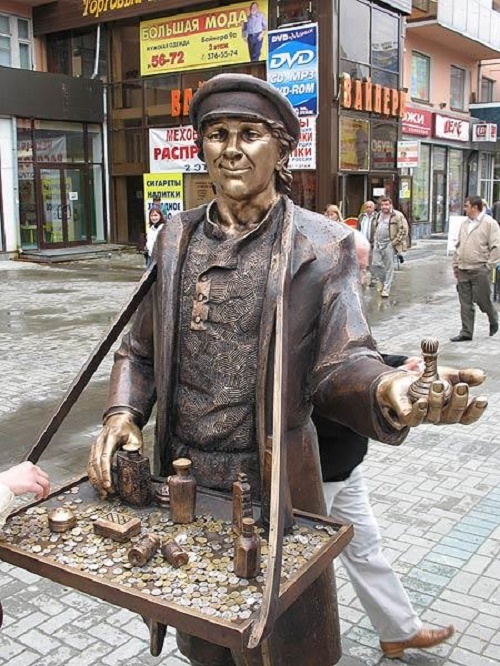 The author of the first and only monument to the largest in Eastern Siberia waterway has become Nikolai Chochchasov (according to some sources, the author of the sculpture – Honored Artist of Russia, Yakut art school teacher Semyon Prokopyev, who worked with his students). But the social page of the talented Yakut artist Nikolai Chochchasov clearly leaves no doubts in the authorship – it is Nikolai Chochchasov. Around the monument image were disputes. The fact that in the Yakut folklore river-nurse for centuries considered a grandmother. 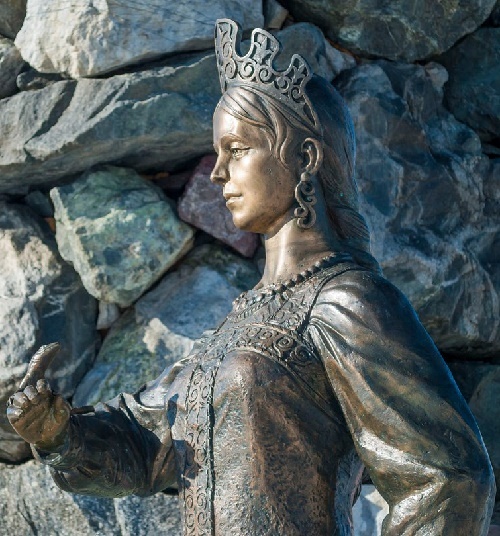 However, residents of the Olekminsk city, where the monument was to be installed, decided that for them the Lena River – a girl in the prime of her beauty. And now snow-white beauty with curly, like waves hair meets the tourists at the city’s waterfront. The monument to the 380th anniversary of the city opened a few days ago, and it has become a major attraction and the main object for selfie. The three-meter Lena created from special white durable concrete, able to withstand the harsh climate and temperatures from -60 to +60. Bronze Mermaid prototype Ellen Price. 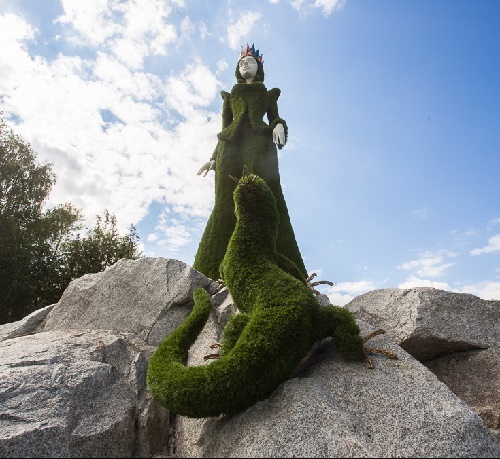 The Little Mermaid is one of the most popular and well-known Danish attraction in the world. Every year, about a million people visit it. Sailors from around the world bring flowers to it. The monument of Little Mermaid reveals the story, which happened a hundred of years ago. 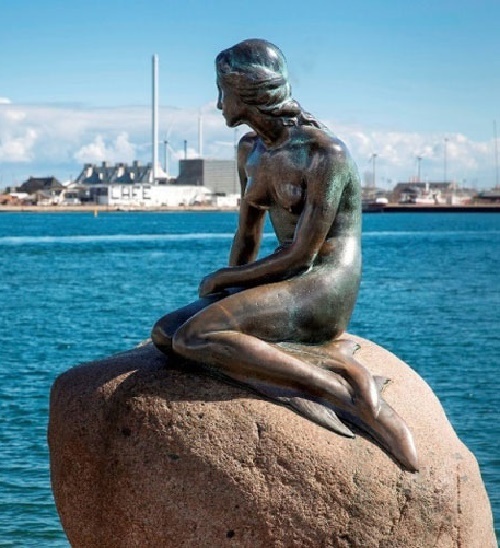 103 years ago, August 23, Copenhagen hosted the opening of the monument, which would later become the symbol of the Danish capital – “The Little Mermaid.” In the fairy tale by Hans Christian Andersen in 1909 in Copenhagen’s Royal Theatre took place the premiere of the ballet with Ellen Price in the title role. Ballerina impressed the son of the founder of the brewery «Carlsberg» so much, that he asked the sculptor E. Erickson to portray her in the image of the Little Mermaid. However, Ellen refused to pose. Whose characteristics are embodied in the famous sculpture? The Monument depicts a wandering from village to village petty trader with haberdashery and manufactured goods, books, popular prints. The name Korobeinik derives from the Russian word korob – the box (wallet from the bark), in which he carried his small haberdashery-manufactured goods to the villages. History of korobeiniks, or ofenya began in the XV century. At that time to Russia moved a significant amount of the Greeks. Most of them were engaged in trade. At the same time, for Russians, to make it clearer, they called themselves natives of Athens. Accordingly, Russian people called these Greek merchants by their self-designation “Athenians”, ie “ofinyas”, or “Ofen”. Meanwhile, the vast majority of them were literate, and were masters of the book trade. They could not just praise the goods well, but knew a lot about them and told in detail. 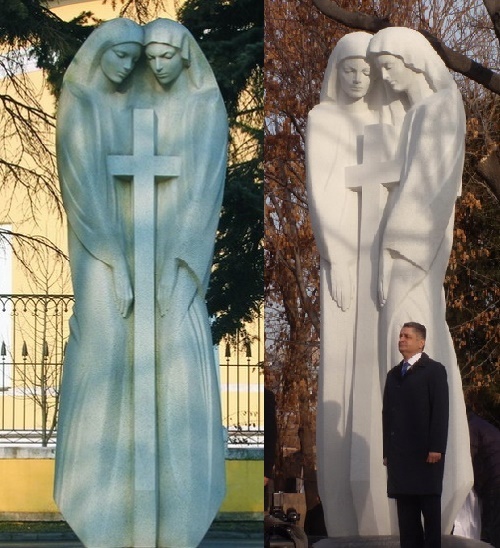 This white stone sculpture of two female figures united by the large cross is a monument to friendship between Russian and Armenian peoples. 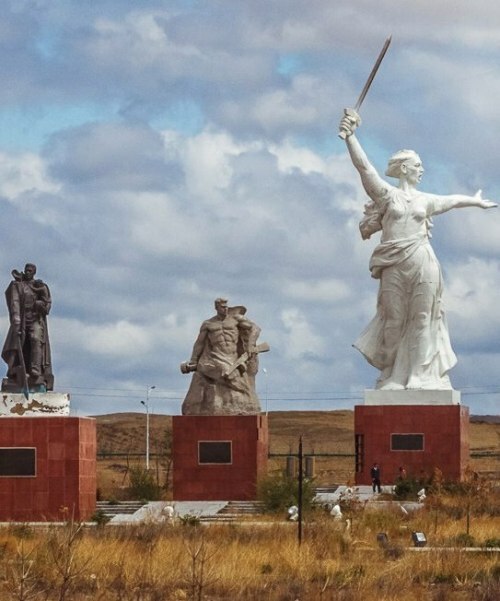 Between the two monuments – twenty years and almost two thousand kilometers. The first one was set in Moscow as a gift of Armenia to the 850th anniversary of Moscow (1997), the second, its copy, – in Yerevan in 2013. The authors of the ‘Uniform Cross’ Monument talented Armenian sculptors Frid and Vahe Soghoyan. Female figures represent Armenia and Russia, and the cross – a symbol of the common Christian faith, cementing their friendship. Relations between the two countries and cultures are quite immense, and numerous Armenian cultural sites and monuments in Moscow – a testament to this fact. In 1711 Peter the Great issued a decree, which said: “To care for Armenians as much as possible, and to facilitate what is needed, in order to get more arrivals and the desire to live in Russia”. Due to the fact that many Armenians settled in Stolpov Lane, in the XVIII century it was renamed in Armenian Lane.